Deep Root Records is back at Concept in Hotel 50 Bowery for "Deep In NYC" this Friday! After back to back sold out showcases, we'll again be partying all night long at this eclectic venue of dynamic and thematic programming, located on the edge of Lower Manhattan! Located on the edge of Lower Manhattan, this eclectic venue is at the epicenter of dynamic and thematic programming in NYC nightlife. If you're looking for a great night one of NYC's hottest venues and music, look no further and join the party with Francis Mercier, Poolhaus, Deerock & Flahko on Friday, April 26th from 10PM - 4AM. Final entry will be at Security's discretion at the door, so please arrive early! Deep Root Records is set to mix up some margaratas and music at NYC's hottest and most innovative venue, Make Believe, for our Cinco De Mayo Sunset Day Party! 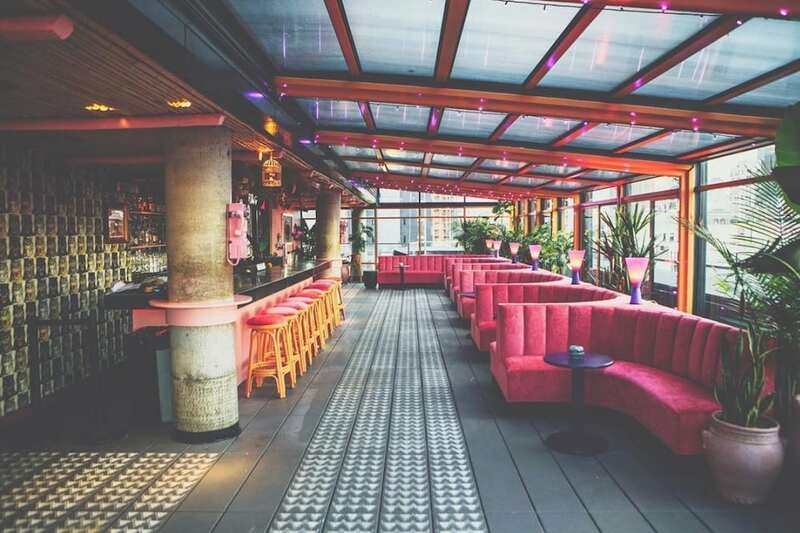 This tropical-themed cocktail bar on the roof of the Sixty Hotel in LES with two outdoor terraces will feature New Yorks Hottest Talent with Top DJ's. If you're looking for a great evening with some of the best scenery, views, and music, look no further and join Deep Root Records for our very own Events Director's, Kyle James's Birthday On May 5th from 2PM - 10PM. No cover, no attitude, just great vibes! 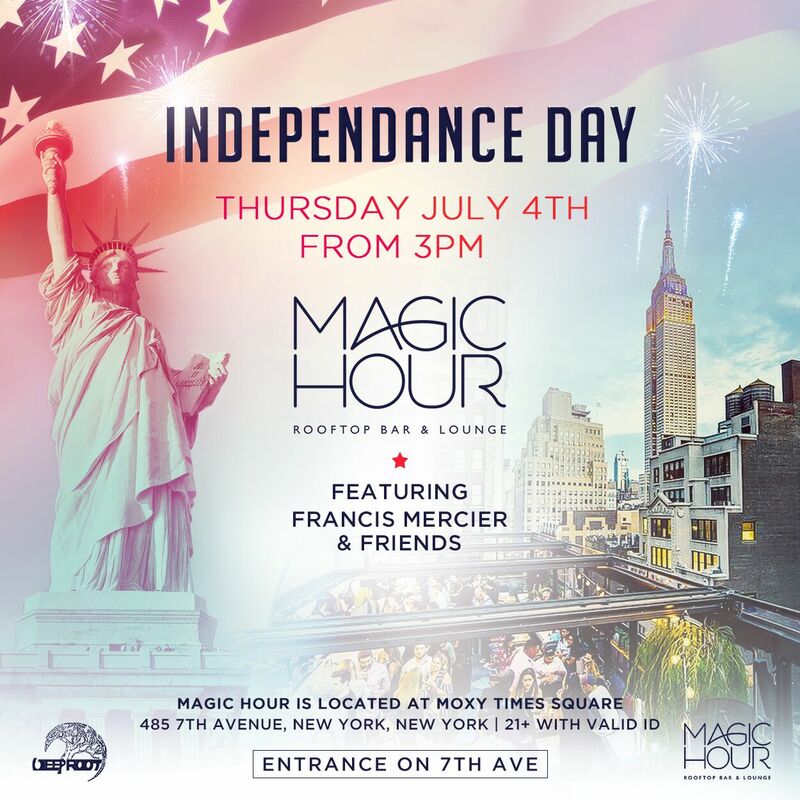 On Thursday, July 4th, Deep Root Records is proud to present your kick off to Independence Day at New York's most exclusive and sought out rooftop club + lounge, Magic Hour located in Moxy Hotel! Come celebrate your freedom with Manhattan's most gorgeous city skyline views, luxurious designs and the hottest DJs performing your favorite commercial music hits!